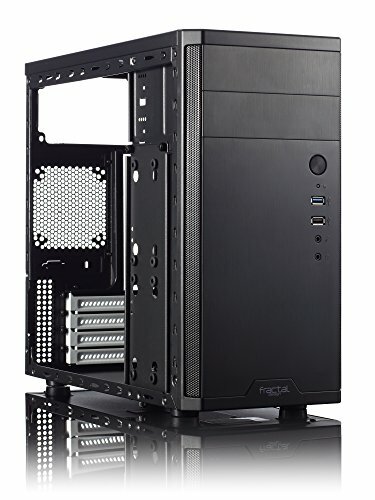 $416.54+ Zilean - A build for my father. 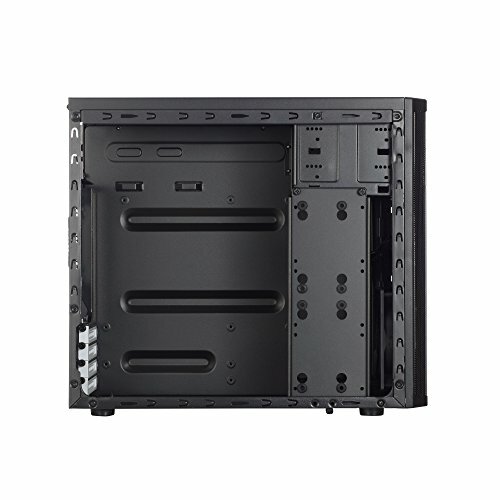 In my opinion: Pros: 175mm width, which means very slim mini-ATX capable case; space for 3 2.5" SSD and 2 5"drives; Top PSU mount helps with ventilation I suppose; Comes with one simple 120mm intake fan. Cons: no cable management. limited options for fans: 120mm front, 92mm rear and 120mm side. Cannot put side fan with the GPU card I'm using. 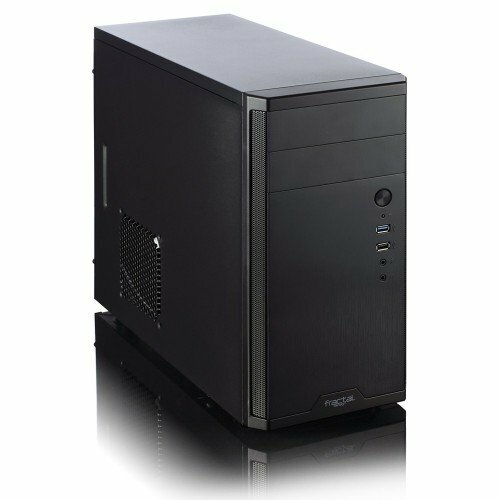 limited options for CPU tower coolers: Cooler master T2 was a fit but better to use low-profile ones. Over-all I am happy with this case. Boring, but it's what a micro case should be, small(ish). I used an adapter to convert one of the 5" drives down to a 2.5" drive so I didn't need to use the vertical storage mount. I used the remaining space to try and tidy up some for the cables. I put a 92mm Be quiet! at the rear and a 120mm at the front. Both were PWM. I used an Aska Y-splitter from the single fan header on the mobo. So far so good. Nice, sleek, and minimal case. Only problem is that there's not much space for drives. Wish it had 3 USB ports on the front instead of 2. Looks very unassuming. 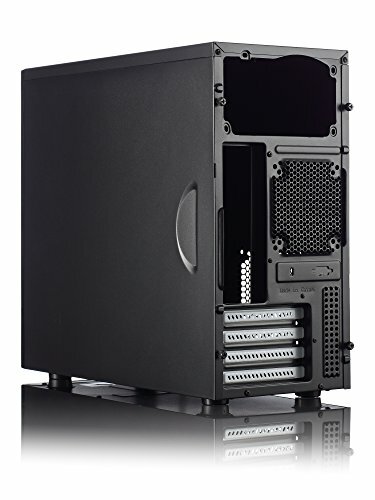 Tray/holder for drives is kind of a pain to use as it holds them sideways instead of laying them flat and has like a billion screws you need to use to keep it secure--would rate it 3 stars just for that but the price makes up for it.